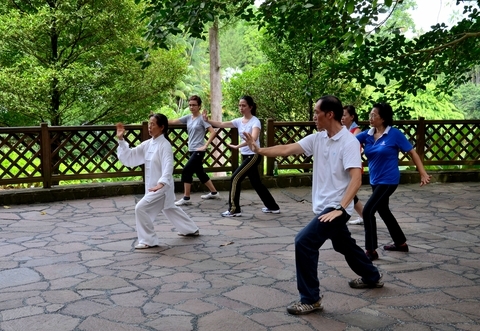 Tai Chi is beneficial exercise for people of all ages. It works by affecting you from the inside out. So it heals your internal organs, clearing blockages to your natural flow of energy leaving you energized and revitalized. It is also excellent for stress relief and so the Tai Chi for Energy form, which is more dynamic, is popular in corporate groups and younger people. Frank Murphy offers classes and courses to organised community groups, corporations, schools and clubs. For more details or to book a group of classes for your organisation or school, contact Frank on 022 40884 or 0872704478. Alternatively, complete the contact form.